You probably recognize B12 as the energy vitamin. You are correct. But vitamin B12, also known as cobalamin, is a very important water-soluble nutrient essential to health. 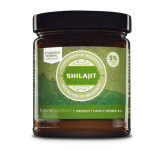 It keeps the body’s blood cells and nerve cells healthy. It aids in the production of DNA, the cell’s genetic material. B12 is needed to prevent anemia. One of its most important roles is to serve as a methyl group donor in detoxification reactions. Methylation is a fancy word for greasing the wheels of the body. How do we get B12? Vitamin B12 is found predominantly in animal foods such as meat, fish, eggs and dairy. Beef liver and clams are two of the best B12 sources there are. Fortified plant-based sources also contain vitamin B12 yet plant sources of B12 are not very bioavailable. Vitamin B12 is uniquely absorbed in the body. The body must undergo two steps to fully absorb B12 from food. First, it must have enough hydrochloric acid (or stomach acid) to isolate B12 from the food protein. Then, the stomach must attach it to a different protein it makes (called intrinsic factor) in order to be absorbed by the body. If any of these steps go awry, then absorption of B12 becomes impacted. The body also needs to be able to activate vitamin B12 to its active form, which is methylcobalamin. The symptoms of a B12 deficiency can take years to be revealed. These symptoms are often mistaken for other nutrient deficiencies, as well. Get advanced micronutrient testing done in order to know how much B12 you have. We want to know not only the level of vitamin B12 in your blood but also the concentration of it in your cells. If your B12 stores are low, you will likely need to supplement. Vitamin B12 is needed for healthy red blood cell production. If there isn’t enough B12 then red blood cells aren’t properly formed and cannot effectively transport oxygen to the rest of the body. This results in hallmark symptoms of a B12 deficiency, which are weakness and fatigue. Again, this is due to reduced oxygen transport as a result of issues with red blood cell production. The body needs adequate levels of vitamin B12 in order to synthesize fully-functioning red blood cells that are able to transport oxygen. Red blood cells rely on vitamin B12. If B12 is lacking, then megaloblastic anemia results. This condition results in abnormally large and fragile red blood cells that are not able to make it into circulation due to their size. They are also fragile and get broken down easily. The result of decreased blood cells in circulation is a pale pallor. The result of excessive breakdown of red blood cells is increased bilirubin (a breakdown product of the liver) and a yellowing of the skin. Depression, irritability and other mood changes are linked to a vitamin B12 deficiency. B12 is needed to synthesize key neurotransmitters involved in mood regulation. Nerve problems such as numbness or tingling in hands and feet can occur with a B12 deficiency. Nervous system damage is a result of having depleted vitamin B12 levels. B12 is needed to synthesize myelin, a sheath that surrounds nerve fibers that protects and stimulates nerve function. Improper red blood cell formation is the cause of megaloblastic anemia due to depleted B12 levels. A common symptom of this type of anemia and insufficient red blood cell function is heart palpitations. There are many individuals who are at risk for a B12 deficiency. Anyone who is unable to fully absorb or activate B12 or doesn’t get enough from their diet (i.e. vegans) are at risk. Elderly are a common vitamin B12-deficient population. They often do not have enough stomach acid to absorb B12 from food. Individuals with pernicious anemia who do not make intrinsic factor and are unable to absorb B12. Individuals with the MTHFR mutation are also affected. About 50% of the population has some form of a MTHFR mutation, meaning they are not able to fully “activate” B12 to the form necessary for use. Vegetarians and vegans are a huge at-risk population because vitamin B12 is not as bioavailable in plant foods as it is in animal foods. Individuals who have had part of their bowel removed in surgery are at risk for deficiency. 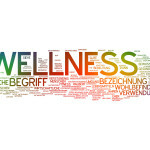 People who have celiac disease or other digestion and malabsorption disorders. Individuals who are on the Diabetes drug metformin or are on proton-pump inhibitors are also at risk for deficiency. These drugs reduce absorption of vitamin B12. 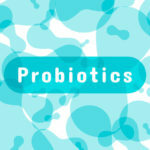 Individuals with SIBO or leaky gut syndrome. 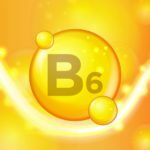 What are some effects of B12 on health? Heart DiseaseVitamin B12 can help to prevent heart disease due to its role in decreasing the amino acid homocysteine. 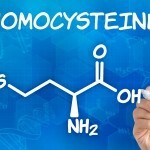 Increased levels of homocysteine can increase one’s risk for heart disease and stroke. Dementia A vitamin B12 deficiency is linked with memory loss. It is thought that vitamin B12 can prevent the loss of brain cells, or neurons thereby preventing brain atrophy (a hallmark of dementia and other neurodegenerative diseases). Energy productionB12 is a nutrient that is essential for energy production. One of the earliest signs of a B12 deficiency is fatigue or a lack of energy. Mood regulationB12 may improve mood in individuals with a deficiency as this vitamin helps to create the neurotransmitter, serotonin. Serotonin is a key molecule for regulating mood properly. Can I get adequate levels of B12 from food alone? There are many reasons why today’s food is depleted of adequate levels of nutrients. The absorption, assimilation and activation of vitamin B12 is a complicated process that can go haywire in a number of ways. Due to the high rate of errors and complications when it comes to B12 metabolism, it is easy to develop a B12 deficiency. 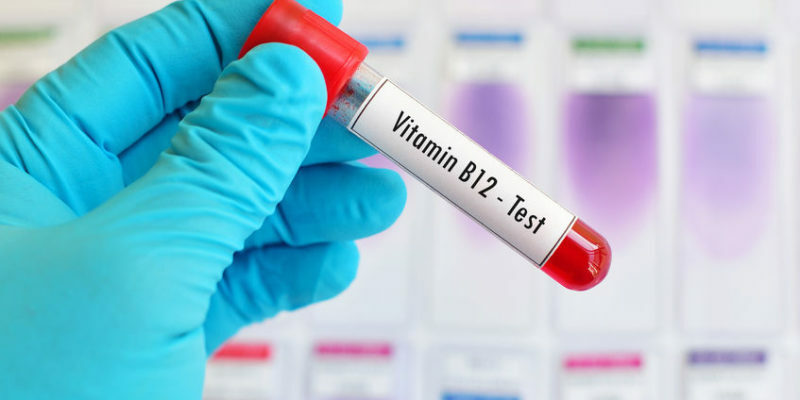 Additionally, there are many factors that decrease absorption of vitamin B12 and its availability to the body including: decreased stomach acid, pharmaceuticals, immune dysfunction, regular intake of alcohol, Celiac disease or other disorders along with poor nutrient status of foods. Additionally, pregnant or breastfeeding women need increased intakes of B12. We recommend Homocysteine Support if you’re in need of high dose B12 (and other B’s) to lower Homocysteine. This is a high dose form of methylated, or “activated”, B12 (methylcobalamin). This supplement is a must for individuals with the MTHFR mutation. It is also great for those at risk for a B12 deficiency. We also recommend Hydroxy Force. This is high in B12, B6 and folate to boost levels and prevent neurodegenerative disease, increase energy and combat fatigue. This is a sublingual form that is best for those with gut issues that affect absorption such as SIBO or leaky gut. Additionally, for health maintenance, B12 is also found in our multivitamin.